“If we don’t start bringing in money this month and next month, we could literally have to shut our doors,” Clearwater Treasurer Stephen Smith told about 75 people assembled in the historic barn at Scenic Hudson’s Long Dock Park in Beacon. 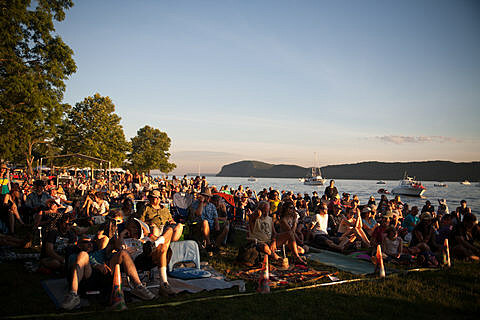 Smith during a presentation explained that Clearwater has relied on three revenue streams to operate – the festival, membership and sails on the sloop Clearwater, the iconic boat built to raise awareness of pollution in the Hudson River. The festival has been held for decades in Westchester and was the group’s primary fundraiser. Seeger, the late Dutchess Junction resident, was a folk singer and environmental activist. They expect it to return in 2017.